This is the story of Pieternella, daughter of the Danish surgeon Pieter van Meerhoff and the Hottentot woman Krotoa-Eva, who has been banned to Robben Island. 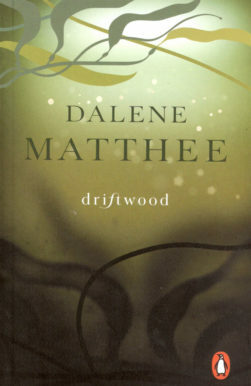 Against their will, the fourteen-year-old Pieternella and her younger brother, Salomon, are sent to their godparents in Mauritius – a rough voyage across the sea, marking the start of many hardships. This historical novel gives a new perspective on the cruel early history of Robben Island as well as the former penal colony of Mauritius. 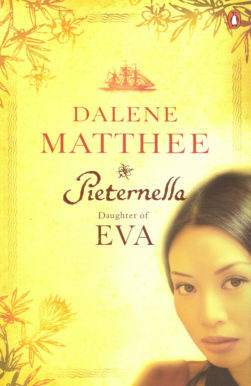 Pieternella, daughter of Eva (Pieternella van die Kaap) is based on three years of extensive research. 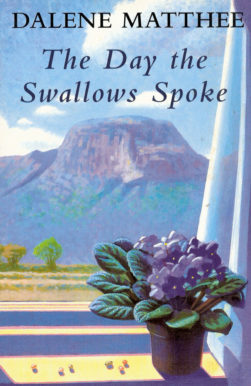 Pieternella van die Kaap (Pieternella, daughter of Eva) has been translated into English. What is gripping about the novel is the sensitive way in which new historic realities are interwoven with the genuine human struggle for existence .